Subaru plans to increase U.S. production and imports from Japan 20 to 25 percent in the fourth quarter to keep up with consumer demand that the automaker expects will lead it to a record sales year. Subaru posted record September sales of 21,432 units, a 47 percent increase from last year. Demand through the first nine months of 2010 totaled 193,614, up 22 percent from the year-earlier period. A 91 percent jump in September sales of the Outback, the brand's highest-volume model, led the gain. Subaru sold 8,154 Outback crossovers, which is built at the company's Lafayette, Ind., plant, along with the Tribeca SUV and Legacy sedan. Outback sales are up 95 percent this year to 66,384, while Legacy sales are up 32 percent. Subaru's Japan-built Impreza sedan posted a 55 percent sales gain last month to 3,678. Sales of the Forester crossover, Subaru's other Japan-built vehicle, rose 33 percent to 6,449. Forester sales are up 6 percent year-to-date. Timothy Colbeck, Subaru's senior vice president of sales, said the automaker wants to increase U.S. inventories to about a 60-day supply, up from 35 days currently. Subaru's current stockpile of vehicles is “obviously a little lighter than we would like to have,” Colbeck told Automotive News. “We're looking at establishing a full-year record and hopefully continuing our string of records in October, November and December as we ship this greater number of cars,” he said. To make that possible, output at Indiana and imports from Japan will increase, he said. Subaru has been outperforming the U.S. market for the last two years. It was the only brand to post a U.S. sales gain in 2008 and one of three to see sales increase in 2009, along with Kia and Hyundai. Subaru's U.S. sales fell 23 percent in August from the year before. Like many rivals, the Japanese automaker was unable to match its results of August 2009, when demand soared 52 percent on the cash-for-clunkers program. 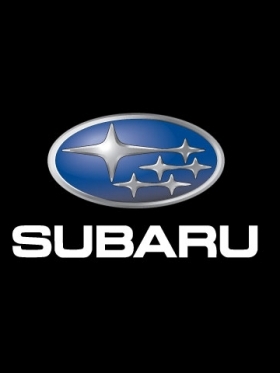 Before the brand's August decline, Subaru's last sales drop came in May 2009.